The triceps brachii is a big muscle on back of upper arm and it is responsible to straighten the arm or extend the elbow joint. It is a 3-headed muscle and has 3 heads or connective tissues which are called long head, medial head and lateral. Being the only muscle in upper arm’s back, it is considered to be an important one in that region. The long head has a big role in keeping shoulder joint fully stabilized. It crosses the joint of the shoulder and to keep it fully activated, your arms should be stretched above the head. If you want to get it fully activated, you can do it only when the arms are in extended position and shoulders are flexed. The long head TBM originates from infraglenoid tubercle which is the main part of scapula. It extends or lengthens distally frontal to teres minor (a narrow, lengthened muscle of rotator cuff) and subsequent to teres major (teres major is the upper limb muscle and one of 7 scapulohumeral muscles. Out of three heads of TBM, the shortest one is known as medial head which is found between lateral & long heads. It starts from humerus’s posterior & medial surfaces. Its distal area arises right from lateral intermuscular septum too. This is covered or hidden under lateral head and long head muscles. The third connective tissue is called lateral head which is found on outside region of the upper arm and its major responsibility is to maintain triceps’ horseshoe shape. The lateral head begins from humerus’s dorsal surface. In spinal cord, in the motor column, all of the three muscle packs have their own motorneuron subnucleus, a mass of nerve cells in spinal cord in which nerve fibers form connections. 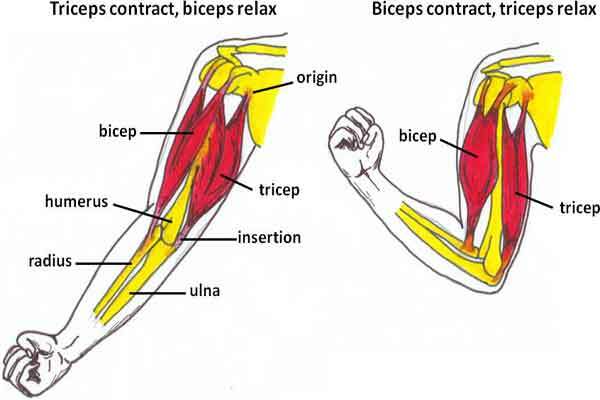 As mentioned above, triceps are the most important muscles extensor found in elbows. Out of the three heads, medial head is considered to be the most vigorous and active part. However, the other groups such as the biceps and brachialis are thought to be much more powerful than this type. In addition to this, the other head which is known as long triceps head and crosses joint of shoulder, makes this area the only two-jointed triceps. The bad thing about this group is that it has a shallow position which puts it at the risk to get injuries, especially during accidents, it can get badly damaged. There might be various factors behind the injuries, but commonest of all occur during contracted triceps when strained flexion hit contracted triceps. Likewise, during a physical activity, your elbow might get direct shocks or blows which may also cause injuries. The most common symptoms of injuries include pain, swelling and inability to extend elbow. In severe conditions, the tendon rupture can also occur which is resulted into tendon pre-damaged and the sufferer may experience rheumatoid arthritis, chronic bursitis, marfan syndrome or osseous tear at olecranon. 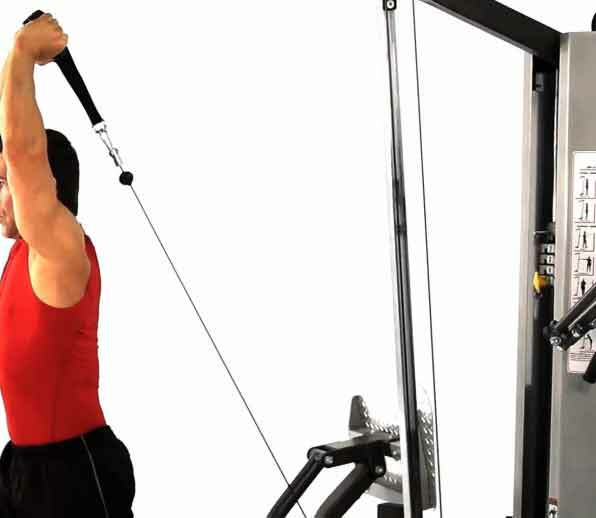 It is known as one of the best exercise and it requires you to use bands to create great isolation. However, this is basically for the beginners. It is another great exercise to gain great power and strength. This will also create isolation and the only thing you require is a type of cable. It is also known as close-grip bench press with dumbbell. The exercise also works with chest and shoulders. Like the exercises above, it also works with chest and shoulders. To perform this exercise, you need only your body. It is also known as floor press with dumbbells. It is a type of power-lifting and is considered to be great for those at intermediate level. The equipment required is dumbbells. Strain is a very common problem and there may be more than one cause of this problem which may include sports activities, overtraining, insufficient warm-up before exercise or hitting upper arms in wrong direction. If you are a baseball or a football player or play any sport that requires lots of physical activities, you are always more prone to develop this condition. There may be other causes too which don’t belong to sports such as aging process in which your muscles are not as strong as in young age, therefore, they may easily get damaged. In addition, sedentary or unhealthy lifestyle may also force your triceps to get damaged. If you have got strain or other injures but you are still performing your routine activities, your condition falls into Grade 1. Your condition will be considered Grade 2 if strain also involves fiber tearing of muscle. In this case, the muscle fiber will get damaged which is, of course, not a good condition. Grade 3 strain involves muscle rupture too and there may be great loss and damage to the muscle fibers as well as tendons. In rare cases, the damage can also occur to the bone. The major and most common symptom of injury is tenderness or pain which normally occurs on forearm extension. There are various factors which cause pain. However, the sufferer should always remember that pain and soreness are two different conditions and the mere soreness might be the result of exertion with no injuries at all. The other most common symptom is swelling which may occur for various reasons and in this case, the fluid can also be built up in muscles. There is no specific area where swelling occurs mostly, but it can be any place from elbow to the shoulder. Swelling can also be the sign of damages to tendons. Another symptom of strain is spasm which is less dangerous and it usually occurs because of dehydration and repetitive movements. Spasm might be quite painful and in most of the cases, it can be uncontrolled which is quite serious. Some people also feel that they have completely lost or at least reduced their strength which is another serious symptom of muscle injury. The sufferer will feel loss of strength and extreme weakness in the area.